I saw “Broken Glass” in its West End pre-run at the Tricycle Theatre in the outskirts of London. And (aside from two tedious taxi-trips I could have done without) that was the best decision. The intimacy of the tiny Theatre gave the play an added intensity, and me an almost voyeuristic pleasure in following the characters’ life for a too short 150 minutes. Arthur Miller places the story he wrote in ’94 in 1934, the dreadful dawn of the Nazi regime. But in truth the play is a timeless study about repression, desperation and forbidden love that drags four people into an abyss of guilt and disgust. It is the story of Sylvia Gellburg, who one day is no longer able to move her legs. From the waist down, she is paralysed. But even though it is Sylvia, who visibly suffers, it is in truth all about her husband Philipp. He adores her and loves the attention she draws when she is among friends. But he also can not cope with her being independent and joyful. He is rendered impotent in her presence – both figuratively and literally. Dr Hyman soon figures out Sylvia’s passive aggressive response to a life in celibacy and her husband’s controlling, flaring temperament – but it is too late for him already: despite his very understanding wife suspecting he has fallen in love with her and she with him.The woman’s illness goes much deeper though. She is appalled by the news from Germany, where after Reichskristallnacht jews are made to scrub the sidewalks with toothbrushes – just to humiliate them. Being jewish herself, Sylvia is shocked and thrown out of her secure life, even more so as her son is in the Military. Philipp on the other hand mocks her fears and foreboding – he is desperately trying to fit into a society he perceives as more and more antisemitic and full of imagined slander against his religion. But before feelings can complicate the situation even more, Philipp, up till then a very successful accountant, makes a wrong decision and costs his firm a promising deal. It doesn’t only cost him the faith of his employer, it also sends his temper into overdrive. Torn between his resentment of his birth and himself, his failure at his job and his helpless inability to have a normal and satisfying marriage with the woman he adores, he finally confronts the most obvious “problem” – his boss. And has a heartattack. As he dies at home in their marital bed he hasn’t been allowed in since his wife fell ill, Sylvia slowly rises from her wheelchair. His last words are “forgive me”. It is a tense play, supposedly written as some sort of strange therapy, depicting Miller’s own failing marriage with Marilyn Monroe. I didn’t see it that way. I saw a brilliant study of a jewish couple in an increasingly antisemitic, hostile world, dealing with their attempts to leave lives they hated. And it was especially Sir Antony Sher’s Philipp that elevated the play from performance to brilliant character study. Sher turned the repressed, self hating accountant into a really pityful character – and yet me and the rest of the audience couldn’t help but feel for this unfortunate man. Sir Antony Sher dominated the stage, his charisma drawing you into a play about lives falling apart – just as the painting on the walls on the minimalist stage blister and peel off. The way he turns from loving husband to hate filled antisemite to raging liar when confronted by his doctor (Stanley Townsend and equally very good) is a fantastic how-to of developing a character before a mesmerised audience. The play will come to the Vaudeville Theatre in September. If you have any chance, go and see it. It’s so worth it. Oh – and last, but not least: thank you, dearest Beverley, for pointing out your “other man” to me. You are right, he IS brilliant and I am so lucky to have seen him! 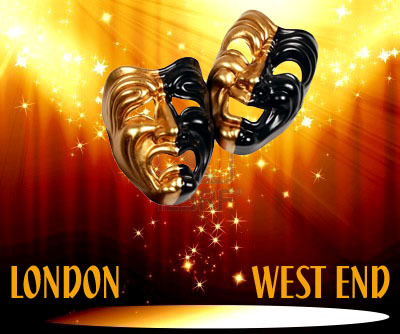 This entry was posted in London Westend and tagged Arthur Miller, Broken Glass, London West End, Sir Antony Sher, Stanley Townsend, Tara Fitzgerald, Tricycle Theatre, vaudeville theatre. Bookmark the permalink.